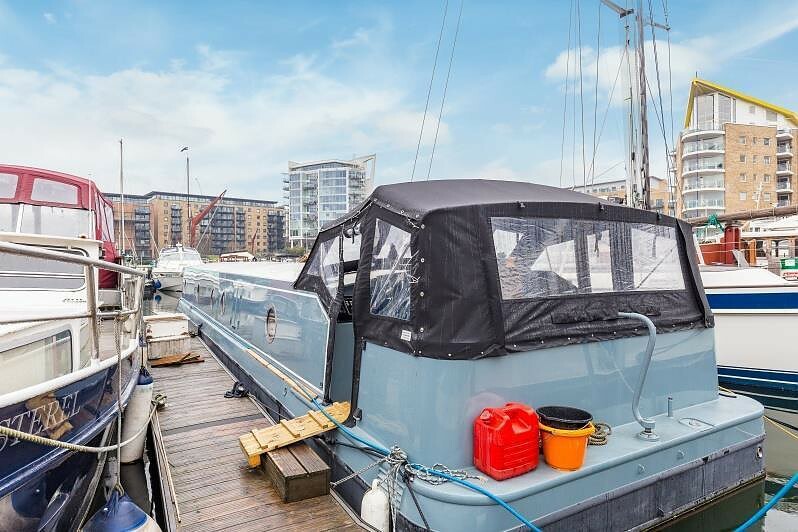 riverhomes is delighted to offer to the market this stunning 59 ft. x 12 ft. widebeam boat with a steel hull on a residential mooring in Limehouse, with views of the marina and the skyscape of Canary Wharf. 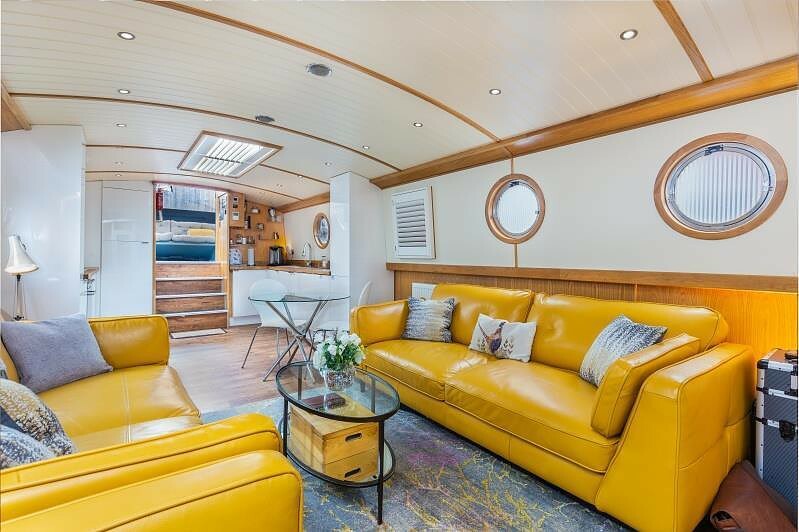 This vessel was delivered to the current owner in January 2018 and then a very high end and bespoke internal fit out was carried out by the owners themselves. 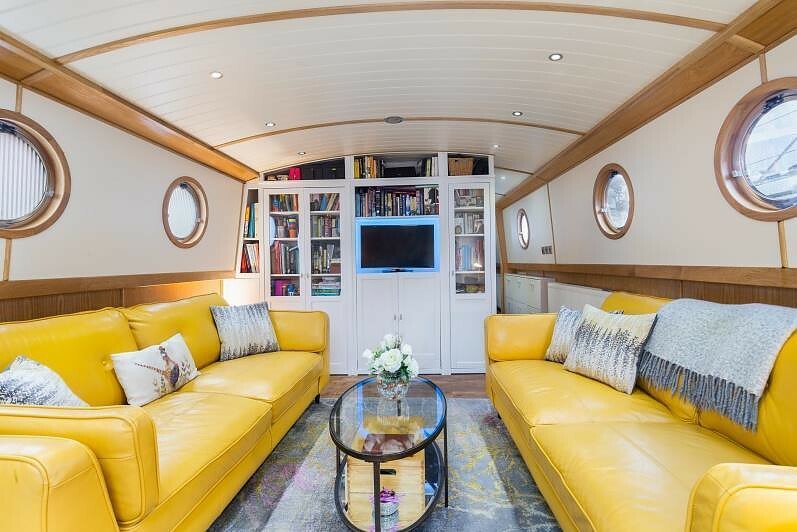 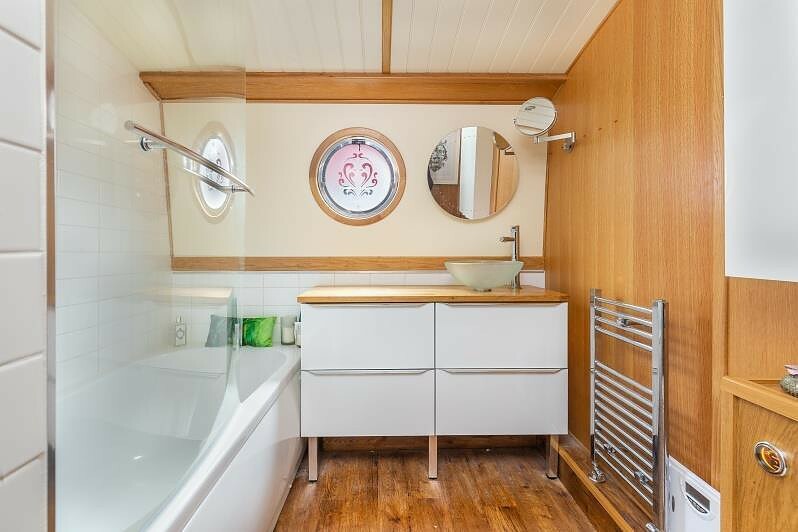 This fully navigable vessel could be used to cruise around London or just as a floating apartment/pied--terre based in a prime Central London location. 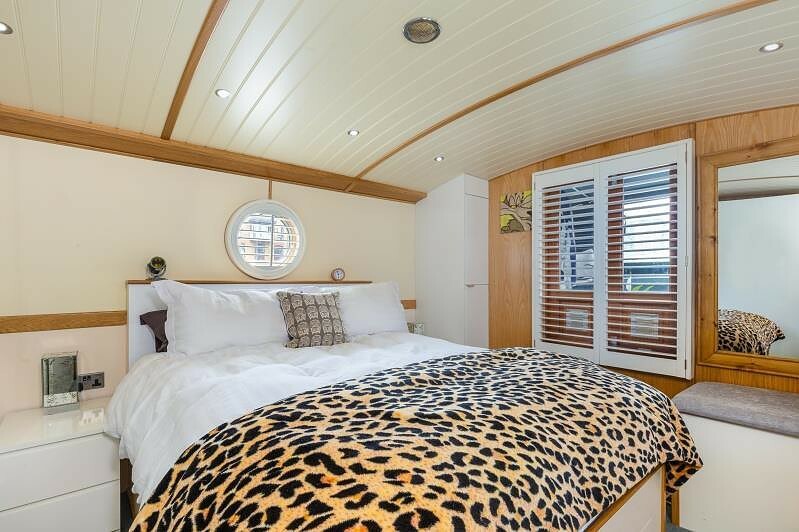 Accommodation comprises; entry via steps at the stern which is covered by a premium canopy and has a good size seating area and also houses the controls for the vessel. 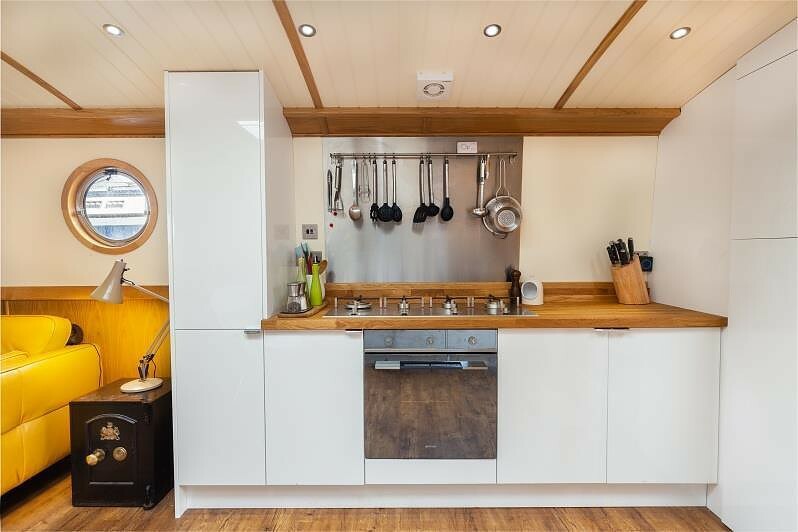 There is a large open-plan modern fitted kitchen with solid oak worktops, a very smart Smeg hob and oven and convenient storage cupboards. 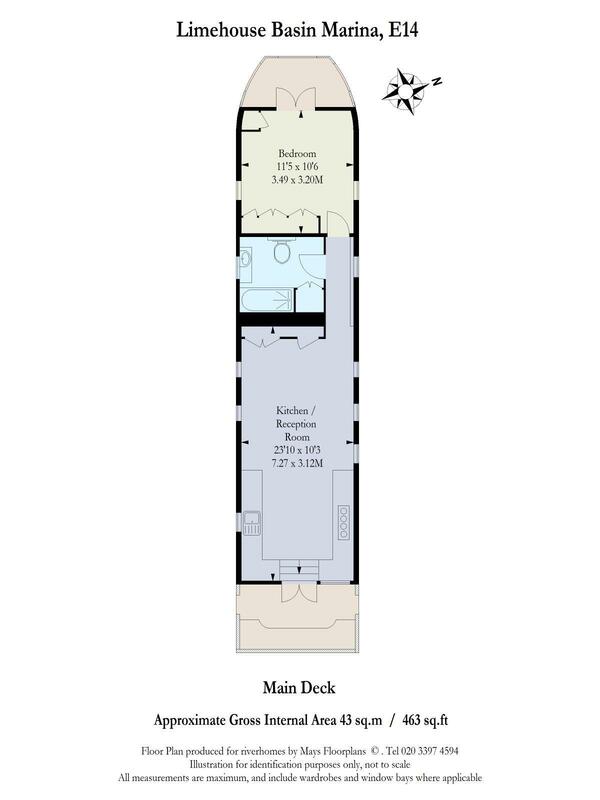 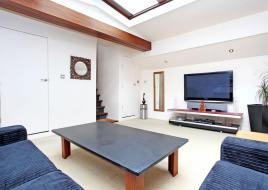 The living room is a good size and leads through to the bathroom with bath and then a large double bedroom with fitted wardrobes. 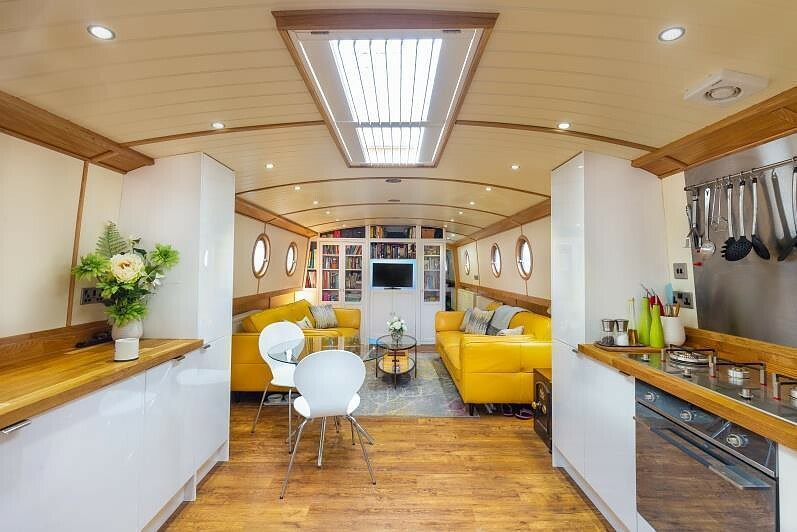 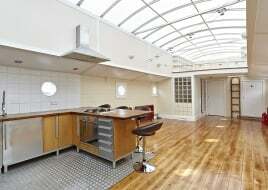 The boat has many benefits including removable glass within portholes, privacy glass, a large skylight in the kitchen/living area which allows light to pour in, plantation blinds, a Kabola HR400 diesel boiler, calorifier serving 4 radiators, a bow thruster which makes navigation easier, a full set of navigation lights and tank gauges. 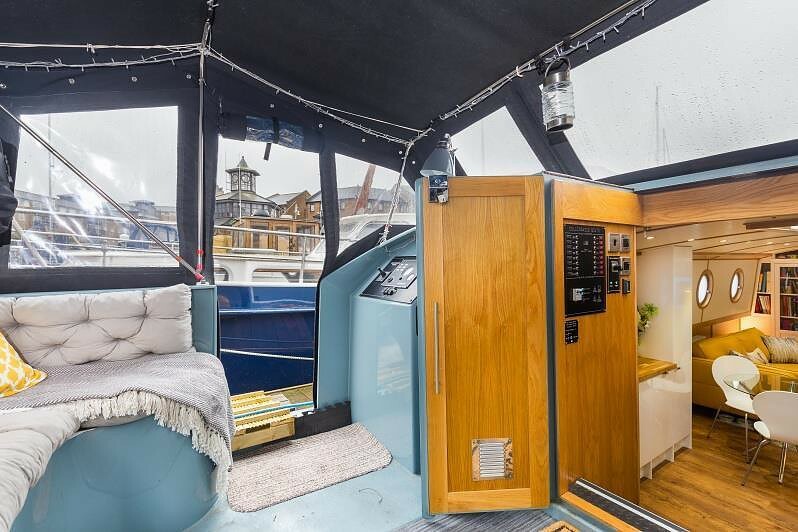 There is also extra seating in the bow. 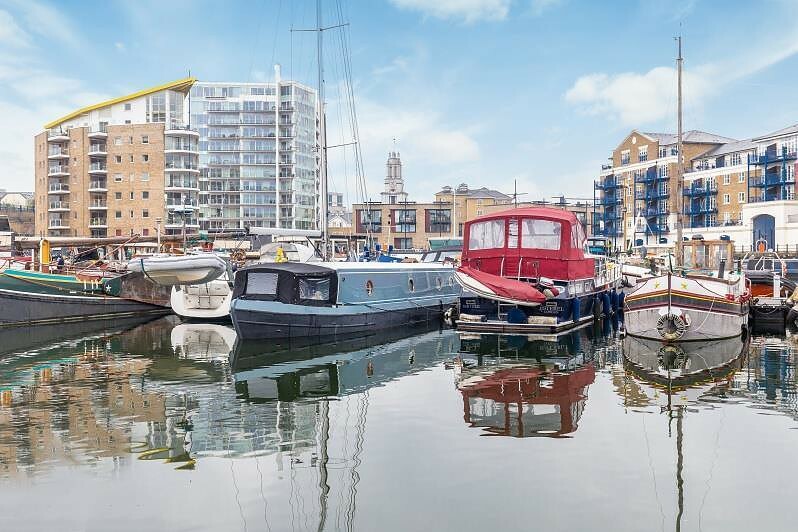 Boiler and system were professionally serviced in March 2019.The marina has mains-fed electricity, broadband wi-fi, and water supply at the pontoon. 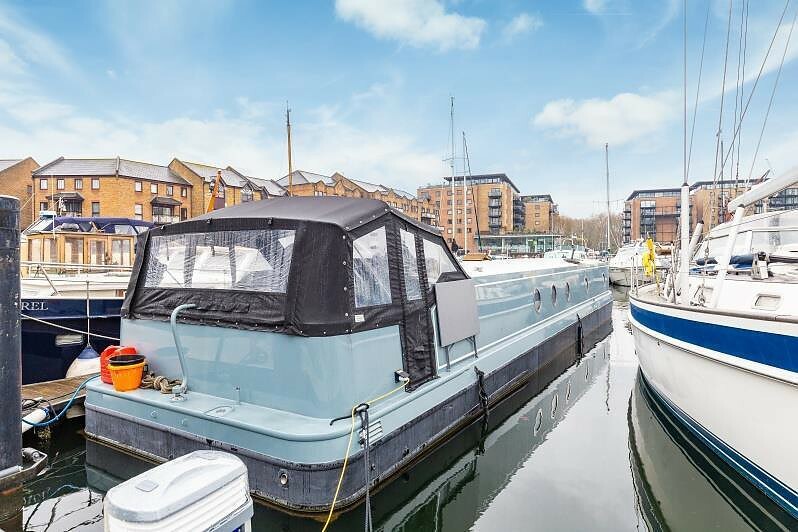 It is a secure gated pontoon, offering a sense of community and tranquility with other boat dwellers in a superb location.